Cuvier Park is home to the Wedding Bowl, the most popular wedding site on the La Jolla coast and perhaps for the entire San Diego area. The bowl is located on the corner of Cuvier and Coast Blvd., across the street from the Contemporary Museum of Art. A permit is required for all weddings large or small. This couple from Arizona chose La Jolla as the location for their intimate destination wedding. For current information call 619-235-5911 to secure a permit. Only 1 permit is issued per day. 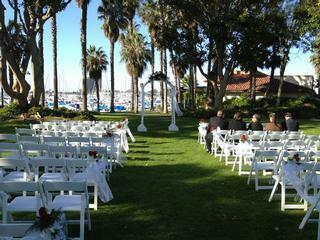 This location is the one to consider if you are planning a beach wedding in the San Diego area. 1. The Venue Size: Match the number of your guests to the size of the venue. Rule out the venues that are too big or too small for your guests. 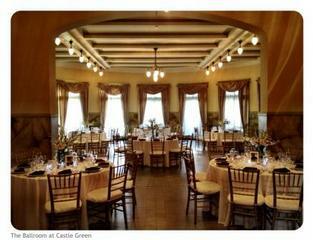 Estela and Bryan chose this location for its' scenic beauty, historic charm and perfect size for their 150 plus guests. 2. Location: Be considerate of your guests and how far they will have to travel. After all, they have to drive home after the reception. 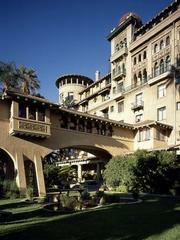 Castle Green is one of Pasadena's most unique hotels built in 1898 in the Morrish, Colonial and Spanish style. The castle is located near Colorado Blvd., home of the Tournament of Roses Parade. 3. Ceremony at the Venue: The popular trend is to have the ceremony and the reception at the same location, but the reception room needs to feel really special for your perfect wedding day. The castle hosts the Palm Terrace Ballroom. Bryan and Estela embraced their cultural roots with a bilingual ceremony. 4. Catering Options: Do your research and ask lots of questions when you plan your reception meal. Asking the right questions can save you thousands of dollars. Castle Green offers 5 caterers to choose from ranging in price from $50-$150 per person and the option to bring in your own alcohol. Those 2 options alone will save you a substantial amount of cash. 5. 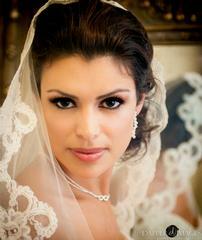 Wedding Photography: Wedding photography is an important way to record and remember your special day. Choose a venue that offers great photographic areas that can be taken on site without having to go elsewhere. Rev. Ron toured the facilities and was impressed with its' blend of architect featuring domes, arches, pillars, ponds and balconies offering hundreds of photographic memories for your special day. 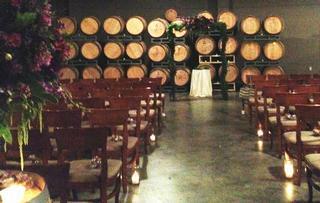 Don and Melissa were married on April 13, 2012 at the Falkner Winery, officiated by San Diego's Reverend Ron. 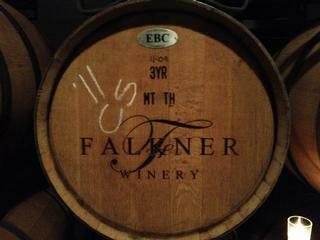 The winery is perched above the beautiful Temecula Wine Valley. This bride is cover material, captured by my friends, Yasmine and DeShundrix Wooten, owners of Dapper Images. Temecula Valley wineries offer an unrivaled experience for weddings and receptions of any size with vine covered arbors, magnificent sunsets and starlit skies provide for an unforgettable backdrop for your special day. Brides that are looking for everything they need to plan their wedding day with all the social elements of Facebook and My Space, let me introduce you to WedSpace.com. 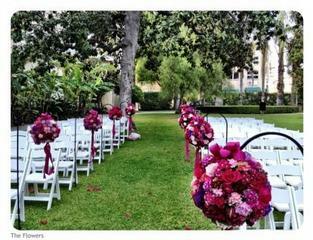 WedSpace members can share wedding photos, videos, and music; create their own blogs, events and so much more. They can even video chat with vendors, putting an end to driving all around town to interview wedding vendors. "WedSpace.com will revolutionize the way brides find the best vendors for their wedding", says Rich Markel, President of Association for Wedding Professionals international. 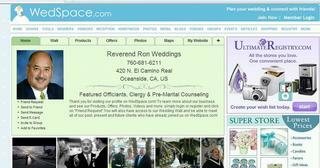 WedSpace is recommended by Rev. Ron who has officiated 80,000 weddings and understands the importance of a bridal resource that really works. Wendy and Luis tied the knot at the Marina Village in San Diego, CA. December is known for chilly weather around the world but in San Diego the average temperature is 70 degrees making it ideal for your destination wedding. 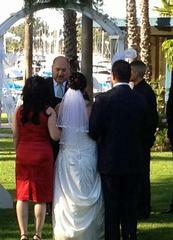 San Diego Marina Village officiant, Rev. Ron of Rev. 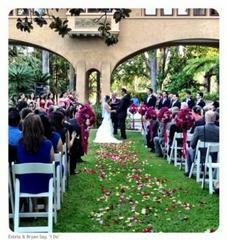 Ron Weddings officiated their wedding on Dec. 3, 2011. The Marina Village in San Diego, near Sea World is a large facility that is home to an assortment of banquet rooms. 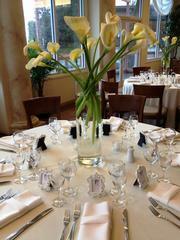 The center offers a beautiful yet affordable waterfront setting for your special day.